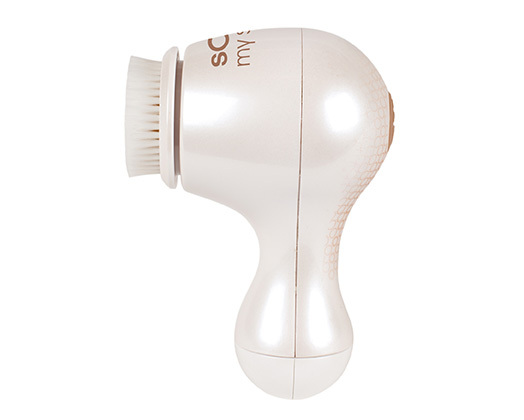 Home Products Solac Facial Brush Waterproof Plastic White 2 Speed V "My Sonic"
Solac Facial Brush Waterproof Plastic White 2 Speed V "My Sonic"
Sonic technology: constant high-frequency oscillation to cleanse, exfoliate and revive. Completely gentle on the skin. Far more effective at removing makeup than manual cleaning. Compact and light. easy to store. Removes dirt, oil, makeup and sebum. Immediate results: bright, even complexion. decreases pore size. Waterproof: can be used in the shower. 2 speeds: delicate for sensitive skin and universal for normal skin. Daily brush: daily cleansing for all skin types. Purifying brush: exfoliating brush for t-zone and deep cleansing. Hygienic cover: protects the brushes.